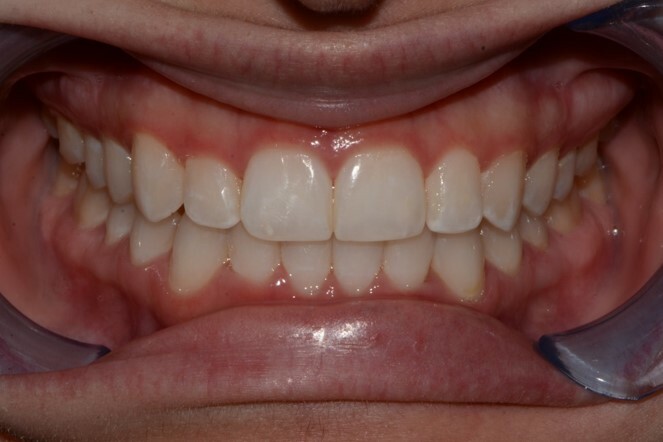 Firstly Dr. Jen did some basic restorative work to correct a few cavities that this individual had present. 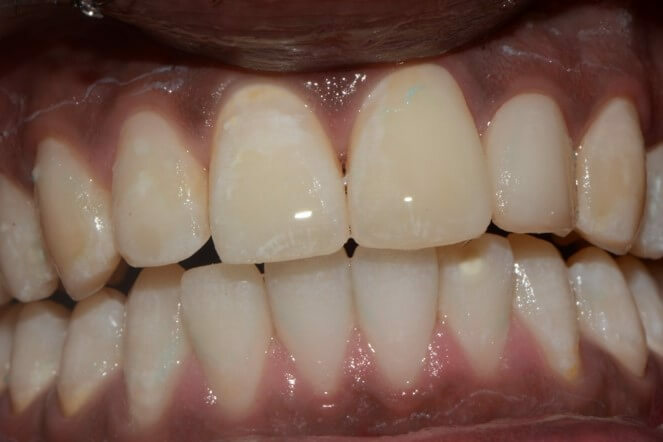 Once the active cavities were treated and stable we went ahead and completed Pola in house teeth whitening procedure to lighten the tooth shade. 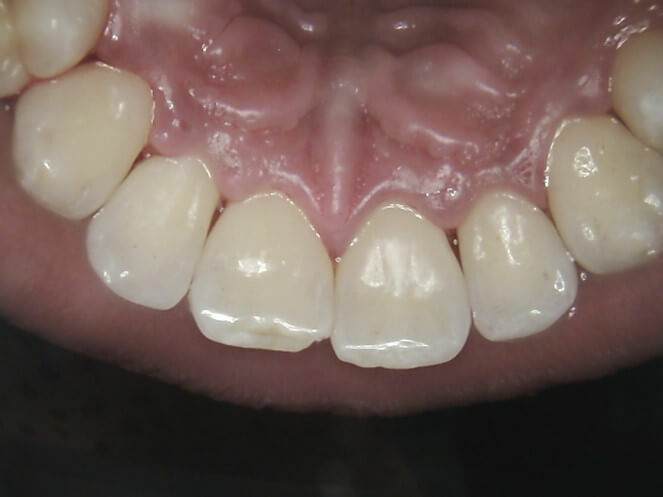 Once the teeth were whitened Dr. Jen then prepared the four front upper teeth and crowns were placed. Fantastic outcome! A very happy and confident person with a new beautiful smile. 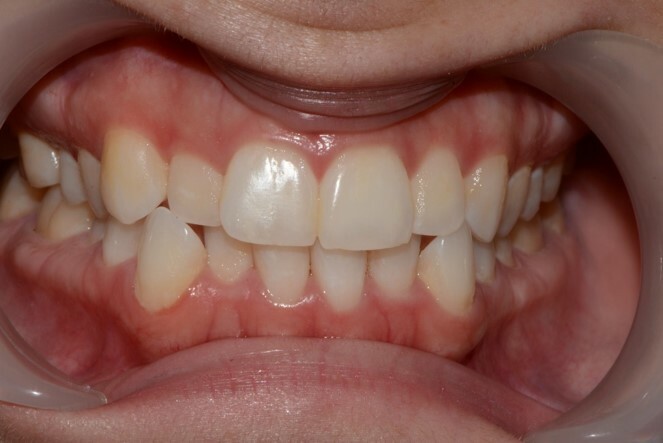 Dr. Jen initially restored a couple of small cavities in the posterior of this person mouth. She then prepared 8 upper front teeth to be crowned. 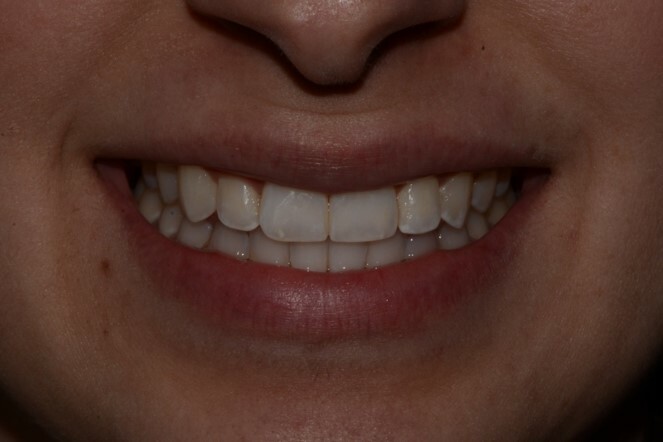 She chose to do the upper teeth only because the lower teeth are not as visible when she smiles. 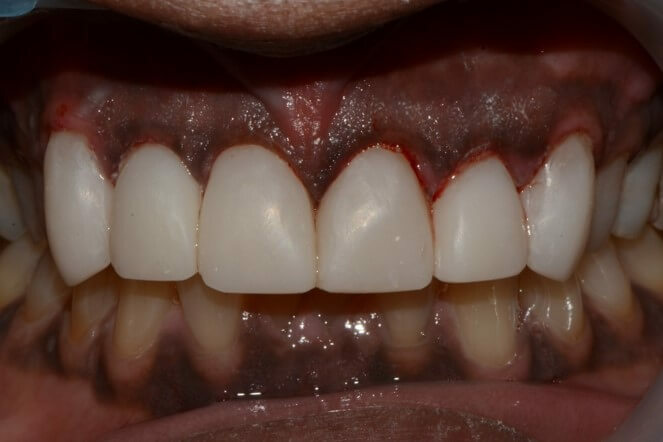 However, once the upper teeth were completed she was so happy with the result that she would also like to proceed and do the same procedure on the lower teeth. Beautiful smile for her son’s upcoming summer wedding! 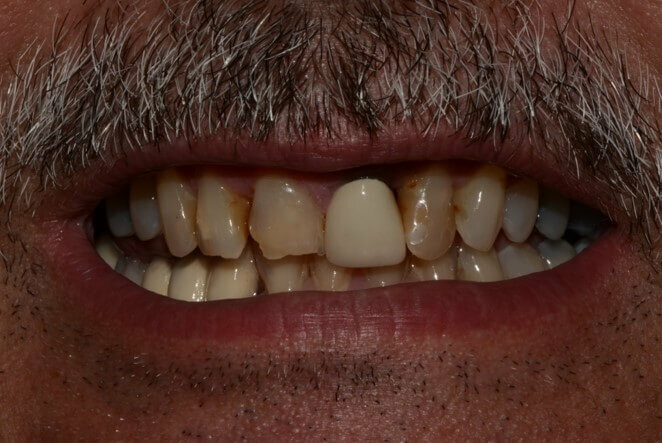 This person has always taken good care of their teeth and oral hygiene; however the teeth were just naturally out of alignment. 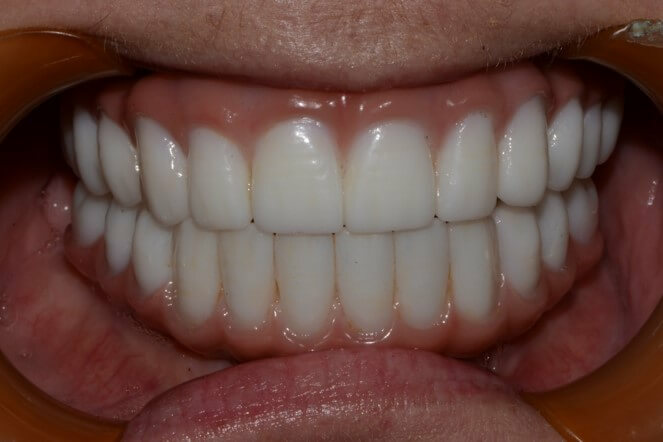 Approximately 18 months of Invisalign orthodontic treatment and the teeth are now aesthetically beautiful and also has proper function. Dr. Jen feels very fortunate to have met this person. 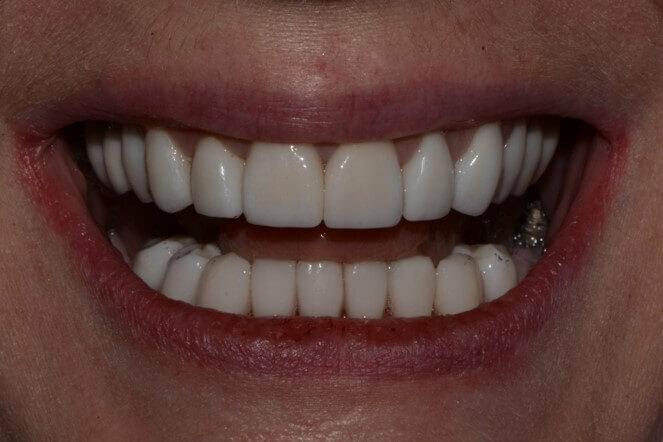 Under deep sedation, Dr. Jen removed 28 teeth and at the same time placed 11 implants which supported immediate temporary upper and lower bridges. 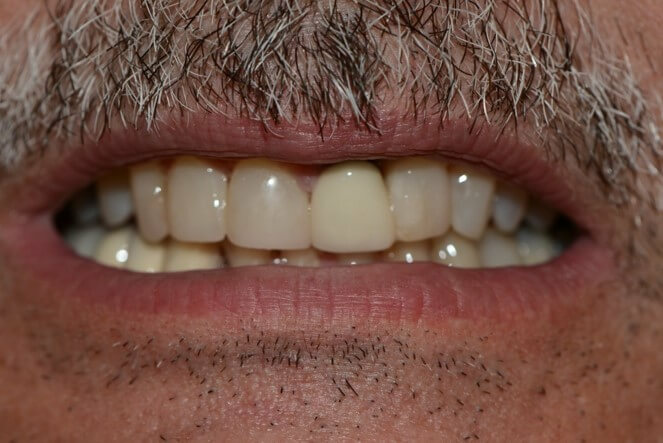 Approximately 8 months later the temp bridges were removed and permanent fixed bridges were secured to the fully healed implants. A beautiful smile was born. This treatment is life changing! 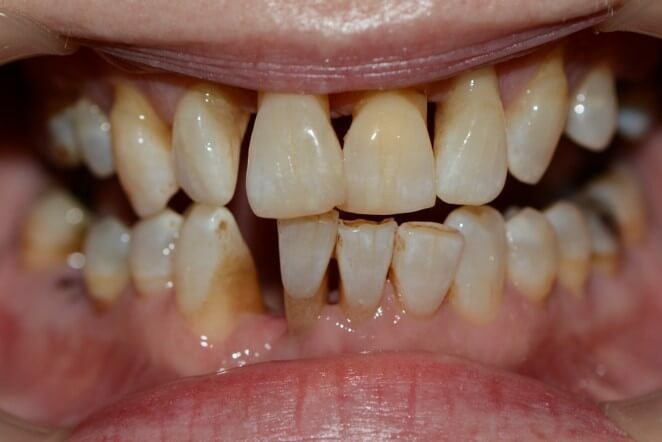 This client believed that the discoloration and staining was permanent. 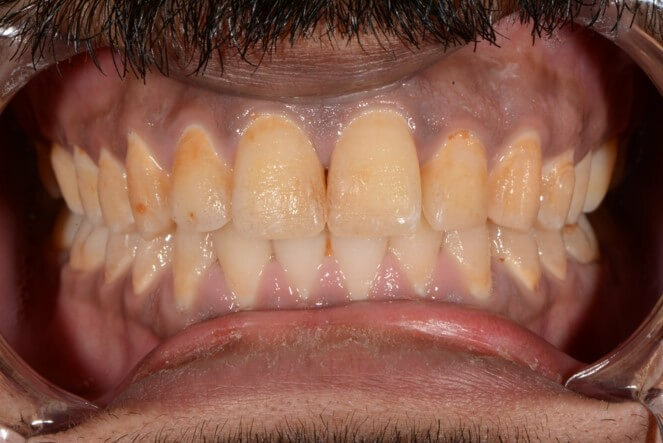 After two 1 hour sessions all the calculus and staining is removed from the teeth above and below the gum line. 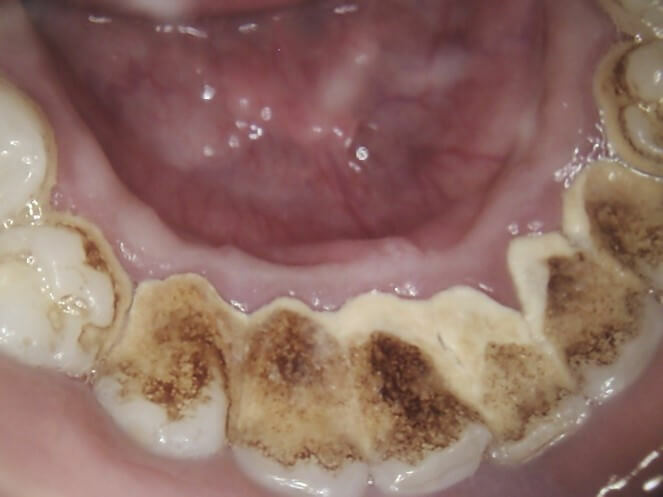 Dramatic improvement to the look and health of the mouth. 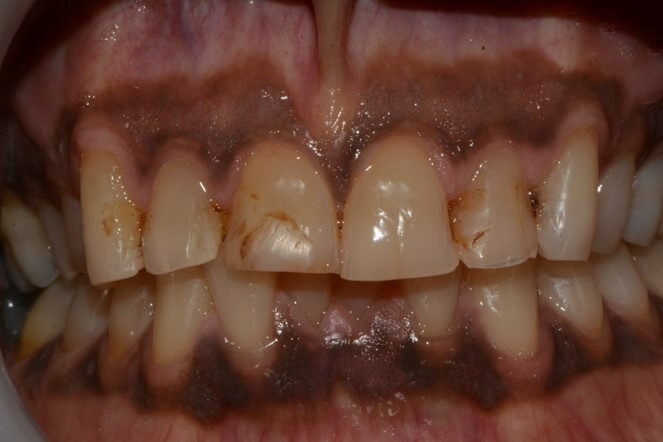 This client avoided regular cleanings for about 3 years. 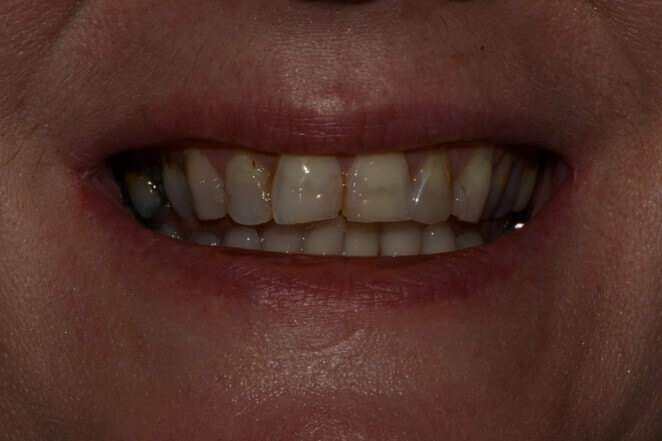 After viewing the before and after photos’ and experiencing the difference a clean mouth makes; this client has been coming 3 x per year for cleanings and is ecstatic about their improved health. 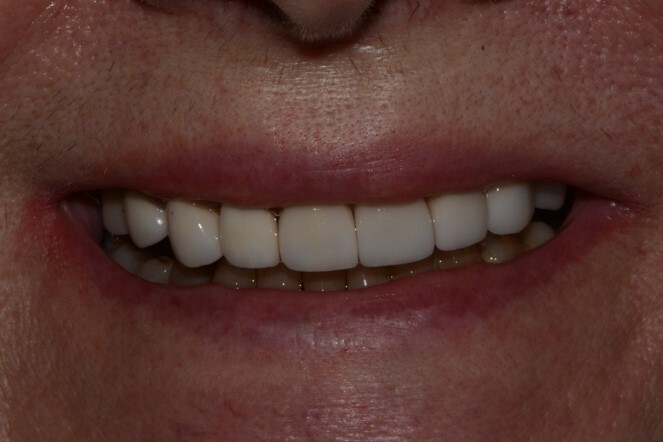 This client thought whitening was the solution to brightening up their smile. 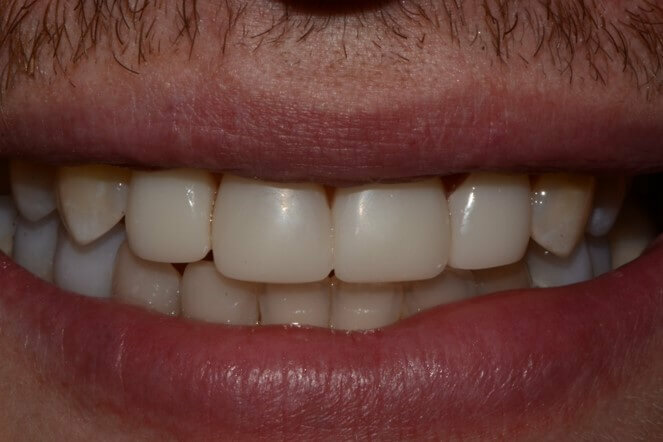 After a thorough cleaning (~1.5hour) with the Hygienist there is dramatic improvement to the visual look, and more importantly the health of the teeth and gums. TDr. 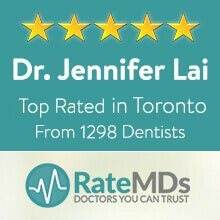 Jen is exceptional at the composite tooth build up procedure and is continually participating in continuing education to enhance her skills. 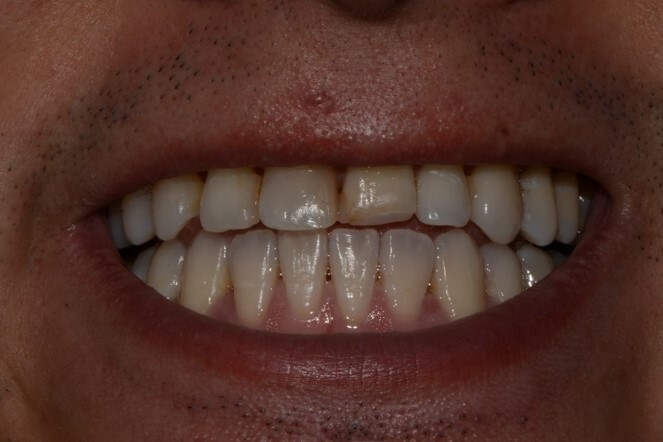 This was about a 3 hour procedure, fully covered as a basic service under typical dental benefits. 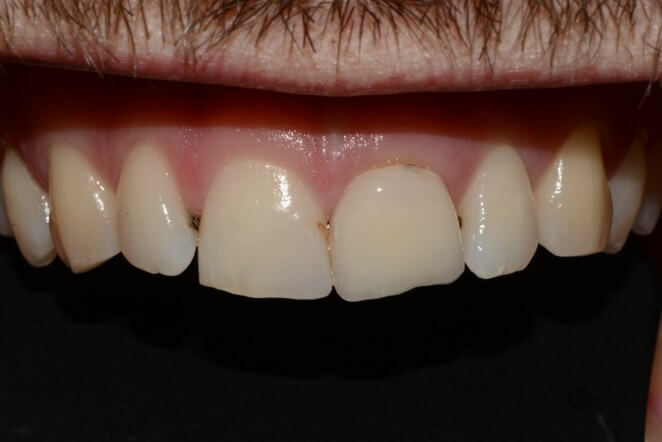 A great alternative to veneers. 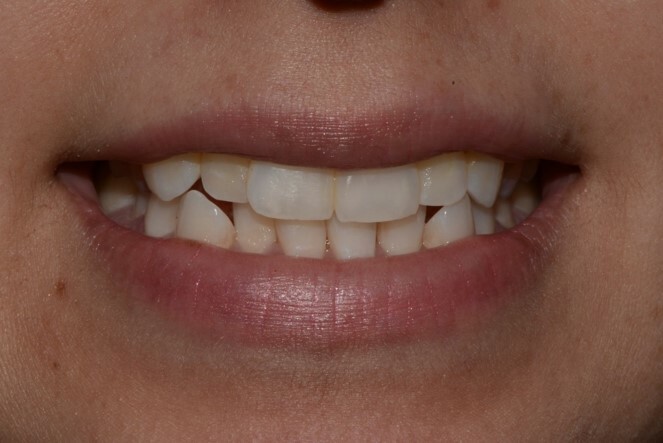 Dr. Jen simply rebuilt the chipped/worn down front teeth with dental composite material. Completely natural looking. 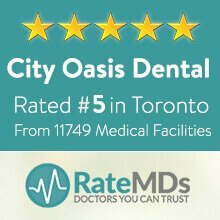 This procedure is a basic service under dental benefits. 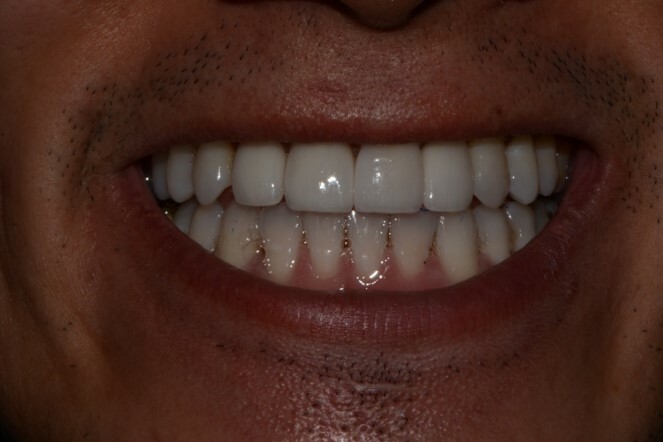 The appointment was about 1 hour long and offers an effective, long lasting solution for a chipped tooth or teeth. 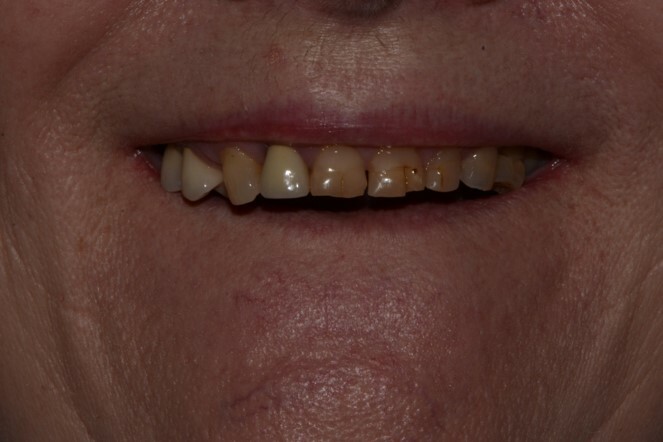 This clients teeth did not come together properly (malocclusion). 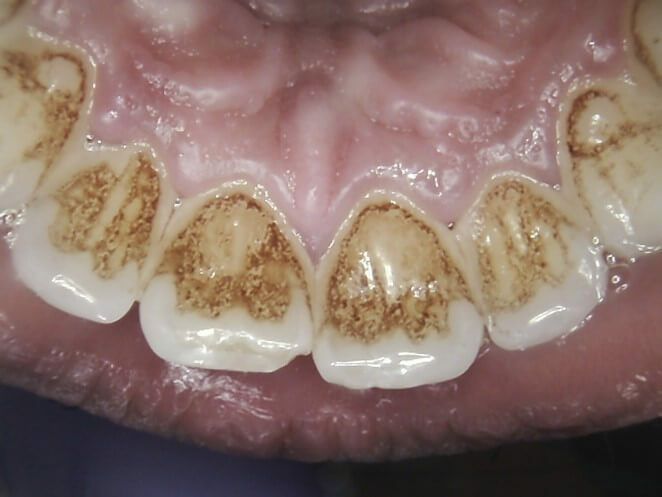 This caused general wear and continual chipping of the teeth. 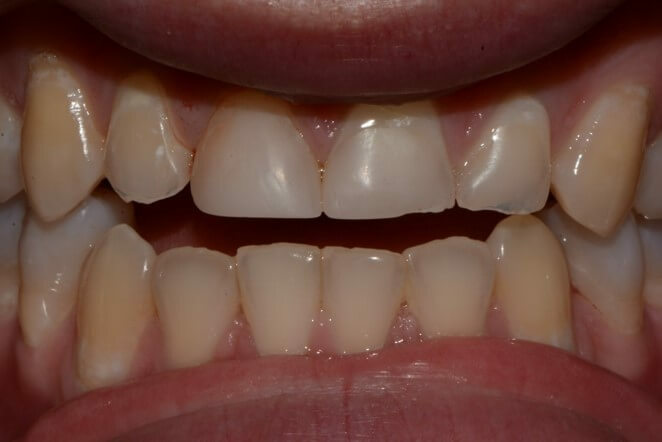 By using a *Kois Deprogrammer, Dr. Jen was able to determine where to rebuild the teeth to make the bite align properly. 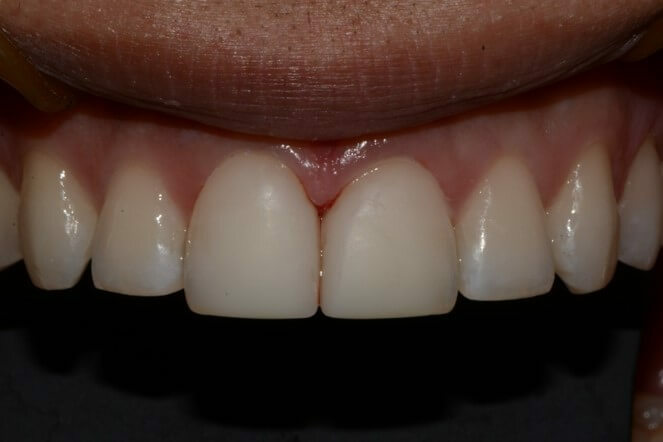 Also cosmetic build up of front teeth to improve function and aesthetics. 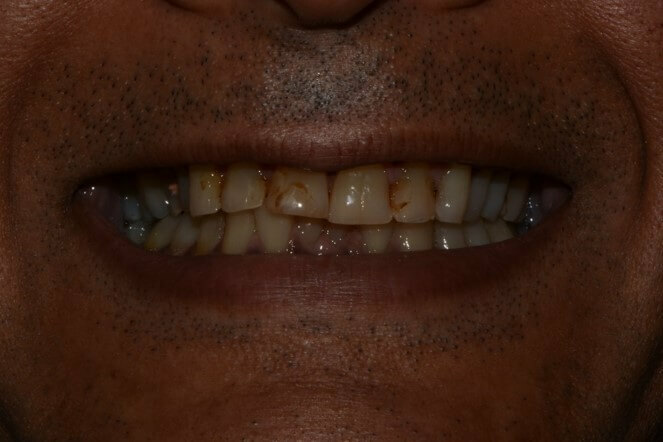 This client’s teeth did not come together properly in most areas of the bite (malocclusion). 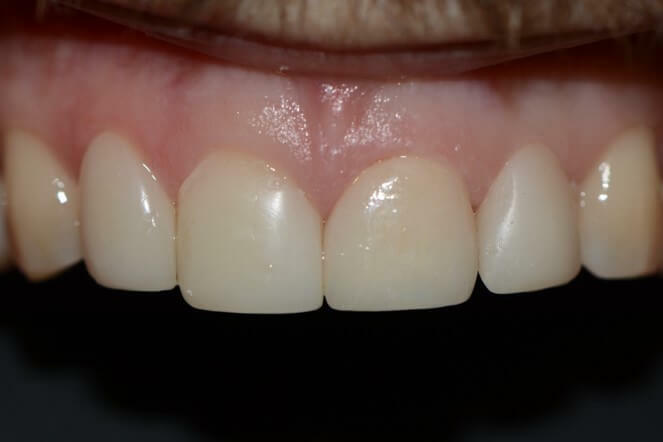 By using a *Kois Deprogrammer, Dr. Jen was able to determine where to rebuild the teeth to make the bite align properly. 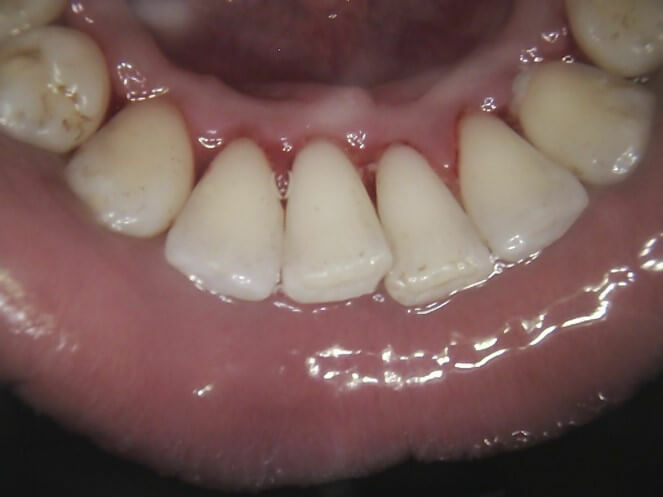 Also cosmetic build up of front teeth to improve function and aesthetics. 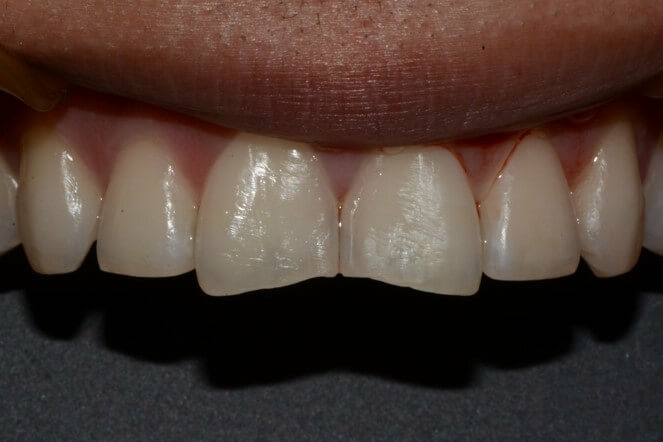 Ideally a crown should be replaced with a new custom fabricated crown. However, there are always options. 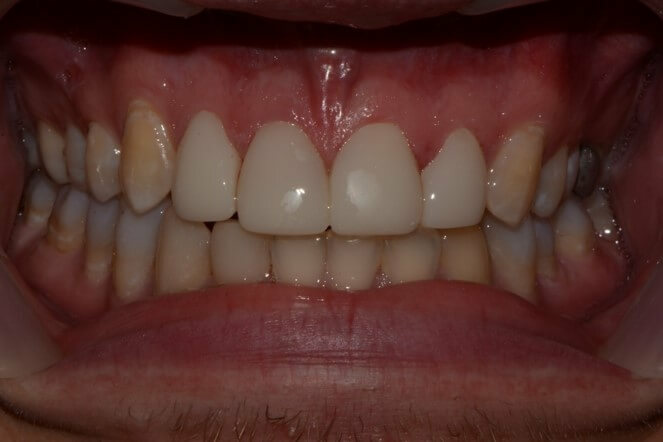 This client was a little tight for cash, so requested Dr. Jen do a composite build up to restore the failing crown. 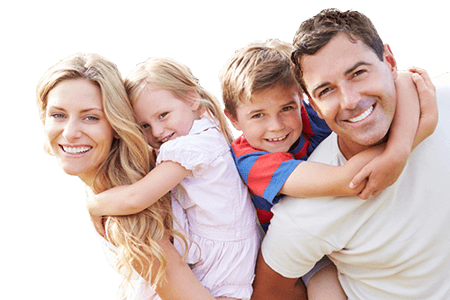 Excellent results and covered by Dental benefits as a basic service. 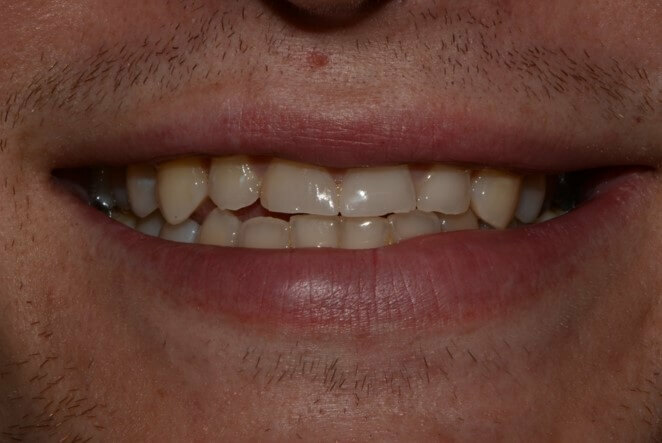 This client underwent 1 year of orthodontic (Invisalign) treatment to create a proper bite alignment and enough space to effectively do composite build up on a number of front teeth. 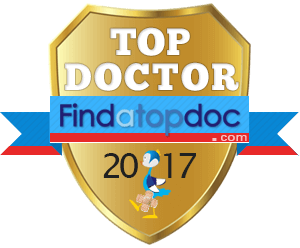 Incredible improvement to health and function. Excited to SMILE! !